Renault decribe themselves as full of design with a passion for life. Certainly their marketing has always played on the French lifestyle and desire for style. When you lease any Renault you're buying into that style. The Renault range includes Renault Twingo, Renault Clio, Renault Captur, Renault Megan, Renault Kadjar, Renault Scenic and Renault Koleos. At Little Green Car we've got some great Renault lease offer. 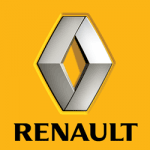 Take a look at these pages and if you don't see the Renault lease offer you're looking for just contact us via email, telephone, or live chat.